I looked into the Unco system about four years ago; it is a slick, professional, approach which will yield predictable results if the operation is run exactly in the prescribed manner and using the prescribed bedding and food stock. Essentially, a series of buckets are filled with an exact amount of bedding and food, inoculated with an exact number of worms, and the buckets are stacked onto a pallet and remain undisturbed for a prescribed time period, then harvested. Technical support is promised. There is no buy-back implied, and they suggest ways to build your own market. I did not tour Unco’s facilities, but I spoke with them several times by phone, and I was impressed with their know-how and research. 3) Lack of a buy-back plan (which I have since learned was an ethical stance). Perhaps my impressions and negative conclusions were not warranted, but I wanted a system that would utilize local foodstocks and bedding. I am not a marketer or salesman so I was looking for a buy-back plan, not help in building a market; I’ve since found out that buy-back plans just don’t work, for the reasons that you mentioned. So, I have four 3′ x 8′ home-made raised wooden beds in a heated shed, use shredded newspaper for bedding, horse manure for food, and have a slowly growing outlet through the farmers market, but I use most of the castings in my own garden. I’m emphasizing castings production over worm production, and last year got about 12 yards of pure vermicompost in three cycles. 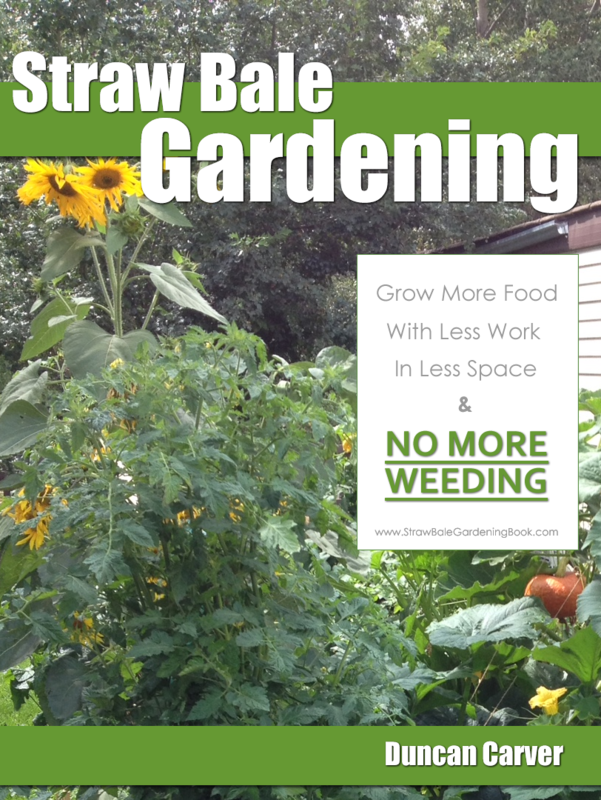 We also sold a couple dozen tote beds and supplied worms and food for them. As an aside, I’m just getting into activated compost teas. So far, I’m producing just microbial teas from vermicompost and molasses, but this summer I’m trying for fungal teas using vermicimpost with kelp and fish amendments. When I get my new video camera set up on my microscope, I’ll send you some pictures of my teas. “We live Wisconsin about a one hour drive from were UNCO facility is, we bought into a UNCO system about 6 months ago. That was after about 6 months of doing research on the Vermiculture business threw him (Tom) and other sources. So far it’s going better then it did in the beginning. I can tell you one big thing about Tom Chapman the owner, and that is he will spend a lot of time with you calling you and what ever else he can do to get you to buy in to the system until you do buy in and then it seams like he does not want much to do with you, unless he is calling to see if you have any extra castings to sell back to him. However I think the system is great in the way that you have control over inventory by that I mean the worms are raised in 3 1/2 gallon pails otherwise known as production units, with 2 1/2 gallons of feed and 275 worms in each pail. You chart or keep a record of when you feed them, how old they are when you hatch, cocoon count and a few other things. The biggest problem we are having is with the hatch and that is he claims each production unit you should get 439 cocoons. We have yet to get over 60 per production unit and sometimes as few as 30 to a unit. Would you know how many cocoons 275 adult worms should produce? The worms that we are using he calls a “cultured” night crawler I see them as just a worm weather night crawler of a African or a Alabama jumper. “Duncan, I received your newsletter today. And I had looked at UNCO on the web and seem a little to good to be true. The information I read in the newsletter helped me to feel good about my caution. I am thinking about starting with a single worm factory $92.95. I have not decided on the type of worm yet. I was leaning towards the red wigglers I was going learn from this worm factory, see what it produces and continue to research the worm business in the area. “Hello Duncan, I read with interest the write up about UNCO and their offer to get people started in the worm raising and castings production industry. I have done initial inquiry with Tom Chapman, the owner, and find to my satisfaction that it is an effort to educate interested people on how to raise the worms efficiently and also develop their own LOCAL markets. UNCO will buy what is produced, however, this is not the emphasis of the program but rather they are selling their expertise they have gained over the years and promoting that as a means to help other people to be successful at this business. Of course this comes with a price, but I haven’t seen anything yet that would cause me to question their integrity. The promotional approach in the written material is a bit high pressure in that it implies that intelligent, industrious people will get going right away on the business but that can easily be bypassed. I’m planning a visit to their operation in Wisconsin and will likely pursue it further. Enjoy your column. Thanks” ~ Ken Braim. Alberta, Canada. “I am presently using the unco system. They have done a lot of research and time developing this system it is costly to buy their information and you are bound by signed contract not to disclose this information. “Thanks for GREAT info in newsletter. Might not have been so eager to purchase if I had known you then! 1) How do you separate castings without losing worms/eggs with a non-layered system? 2) Worms and I live in Sisters, Oregon (freezing temps during winter, growing season approx 2.5 months, sandy/silty soil). Can my worms survive in flowerbeds filled with my horse’s manure, plants, water reg. during dry times? No worms found in local soil within 25 miles unless in watered grass/lawns. 3) ECO-TECH offers to buy back worms for $8/# with seller paying shipping, packing, etc. ECO-TECH sells worms for $16/# with buyer paying for shipping. When questioned they became defensive. 4) Any more info on Advertising/Marketing worms? 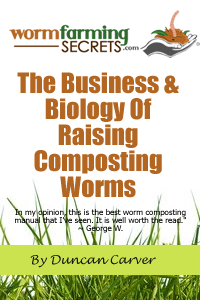 DISCLAIMER: The above views and commentaries are not those of “Worm Farming Secrets” nor any of it’s business associates. They are independant reader feed back from our newsletter readers. We are in no way associated with UNCO and have no first hand knowledge nor experience with this company.